Happy 92nd Birthday! Bachi’s wonderful grandchildren, aka Samantha, Tricia, Michael, Amedeo and pets, sent her this beautiful huge fragrant bouquet of flowers. She wants to say “THANK YOU” for remembering her. Auntie Gladys, you look 52, not 92!!!! 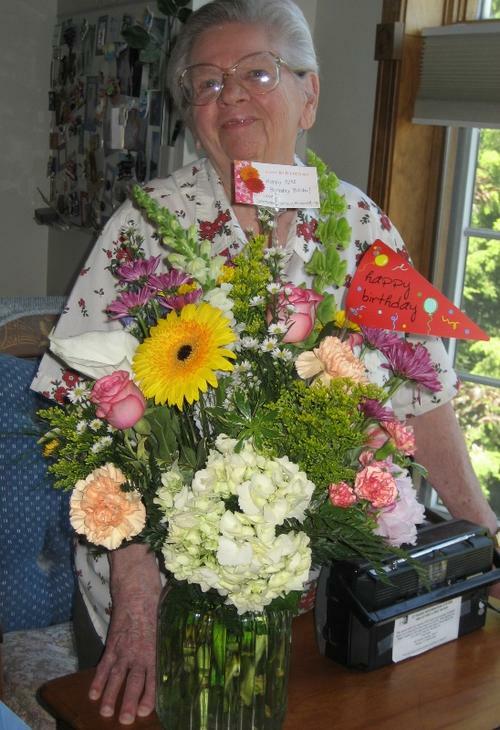 The only thing more beautiful than those flowers is Great Aunt Gladys.